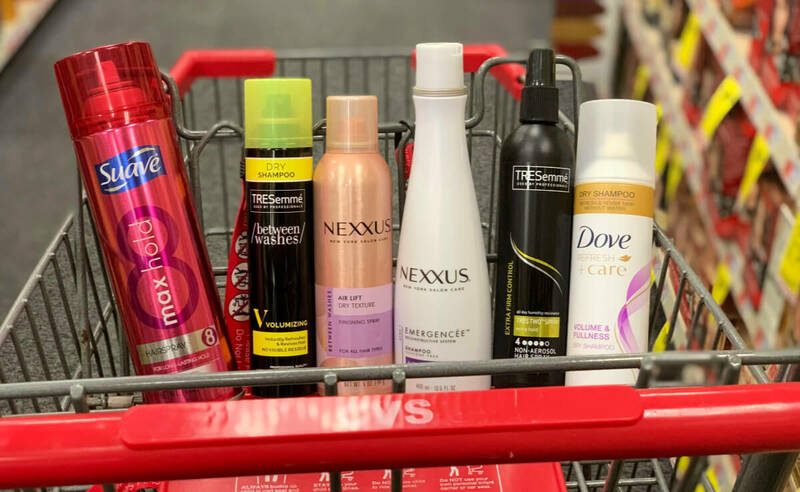 CVS Shoppers, now through March 30th, select TRESemmé, Dove, Suave & Nexxus hair products are on sale for Buy 1 Get 1 50% off. 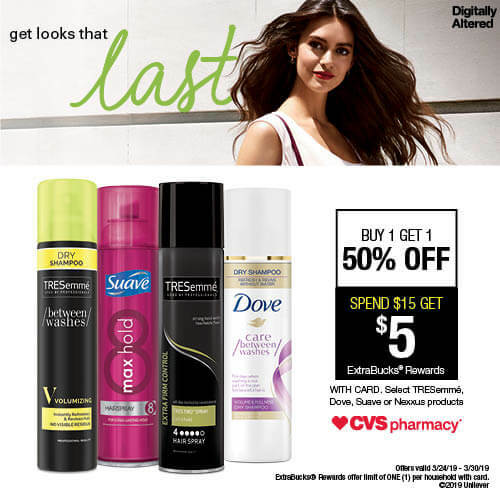 In addition, when you spend $15 on these products you will score a $5 ECB (limit 1 offer per household with card). 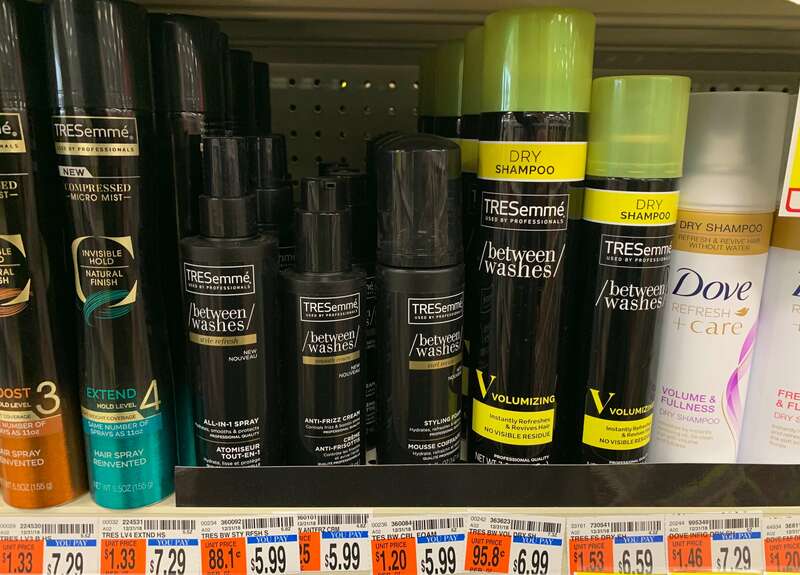 Check out one deal idea below showing you how to score TRESemmé Pro Collection and TRESemme Between Washes products for as low as $1.39 after stacked offers & coupons. Awesome stock up price! I’m loving the TRESemmé Between Washes Volumizing Dry Shampoo. It’s the perfect hair care product for the days I don’t wash my hair. A quick spray of the professional-quality formula, infused with Mineral Clay and Citrus, is all it takes to revitalize my wild head of hair!